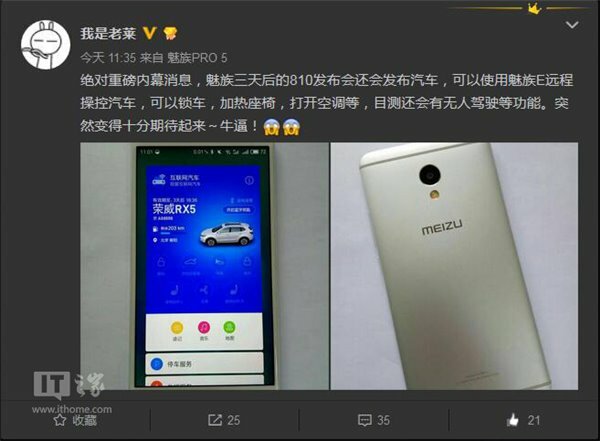 Meizu’s upcoming M1E smartphone – which will likely carry the Blue Charm E moniker in the company’s home country of China – will allow users to control their car remotely, according to a new leak. 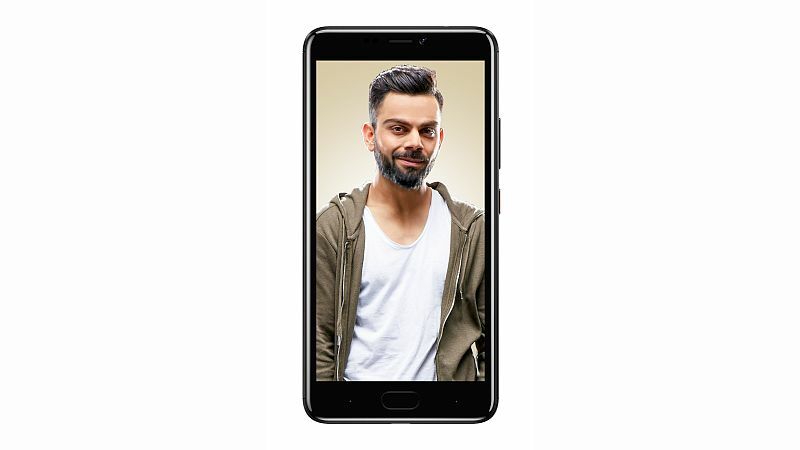 The leak suggests that M1E users will be able to unlock their car doors, control air-conditioning, as well as heat up seats using the phone. 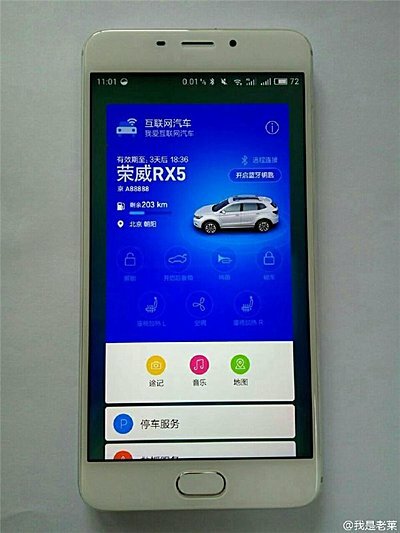 There’s, however, a catch: the handset’s car controlling features will only work with the Roewe RX5, which was launched by Chinese e-commerce giant Alibaba and SAIC Motor earlier this year. 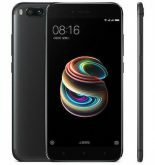 The former, in case you aren’t aware, has a stake in Meizu as well. The M1E is set to be made official on August 10.